← A lot of Diane Ericson with a Holly Bagdley addition! 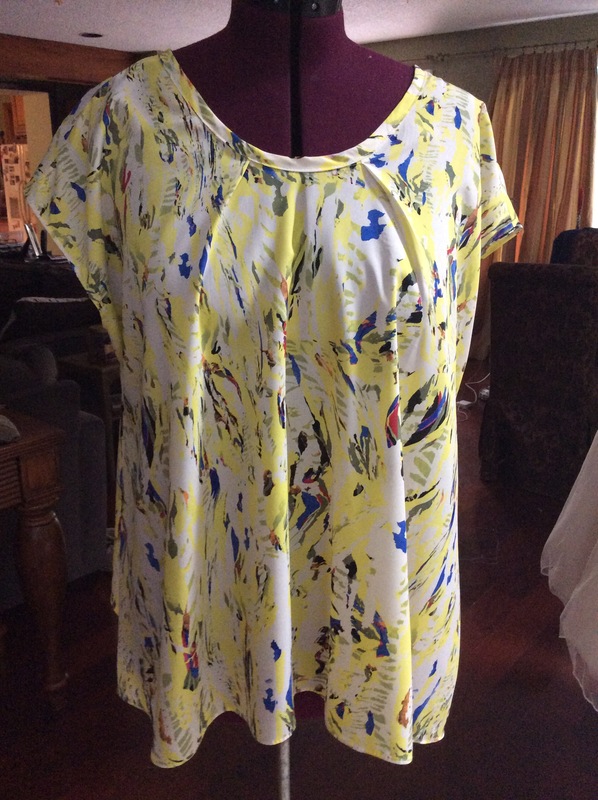 As the temperatures begin to rise I realized that I needed some light summer tops to get me through the steamy summer . 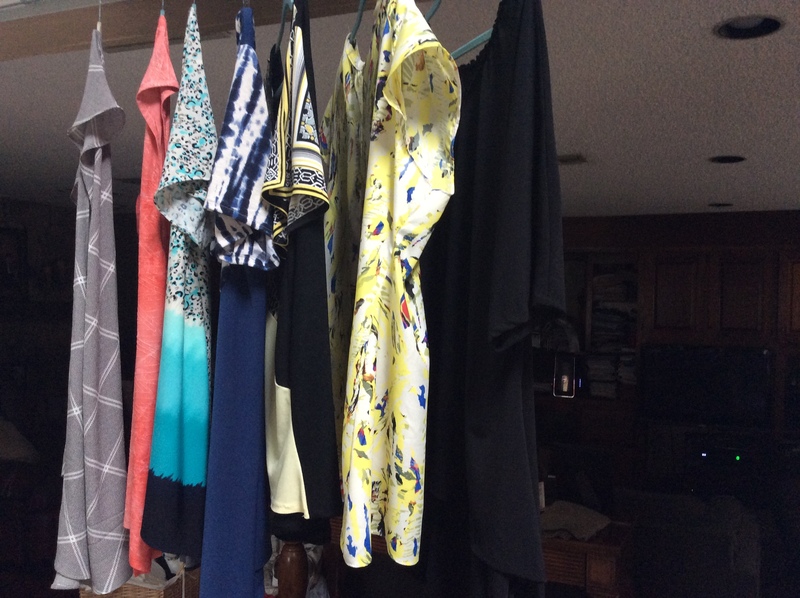 I gathered together a variety of fabrics, prints and solids, some knits, some wovens mostly remnants. 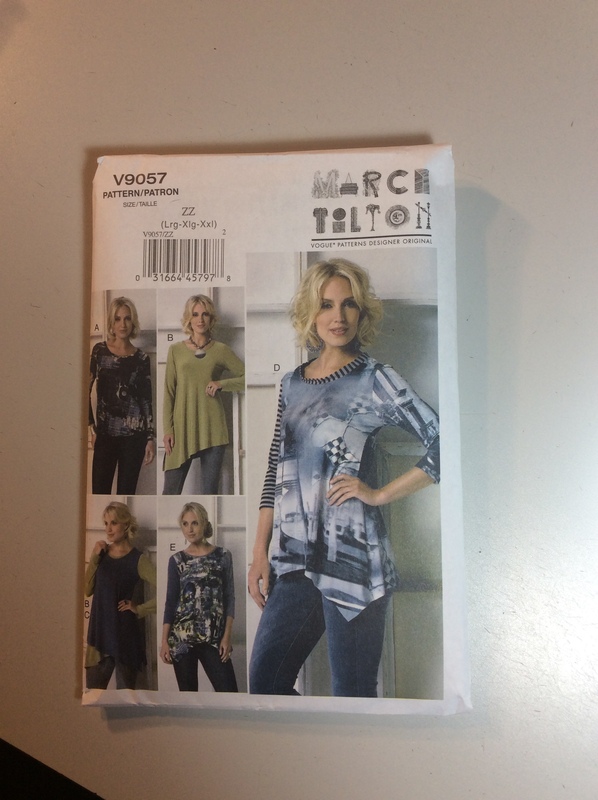 I used Vogue9057-Marcy Tilton view C, Butterick 5925- Katherine Tilton view C and McCallsMP206 also view C. I say used loosely as I changed hemlines and width as I made each one. Here are a few details and quick finishes I used. I wanted some yellow to match a piece of jewelry . This is a knit. 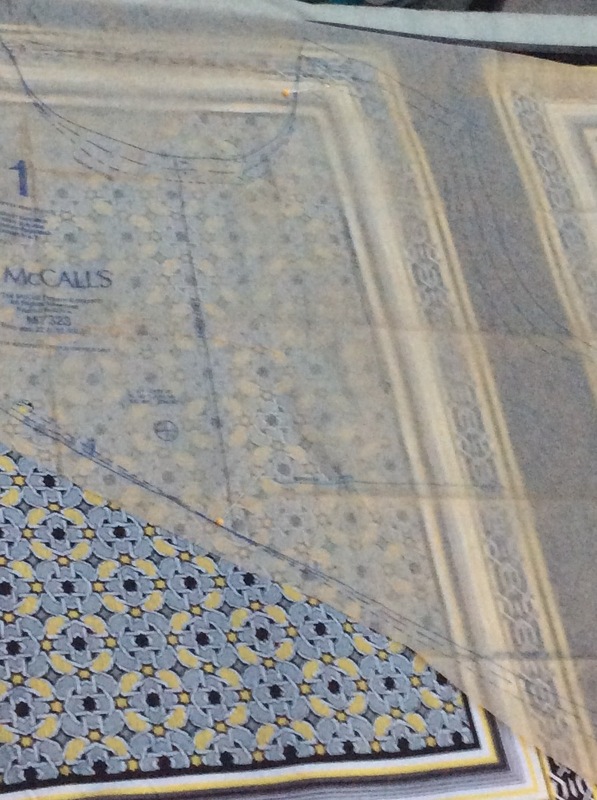 Did you ever get some fabric with a square print and not know what to do. I don’t think a square in the center is flattering. I decided to use part of it and make the rest black and a solid yellow . 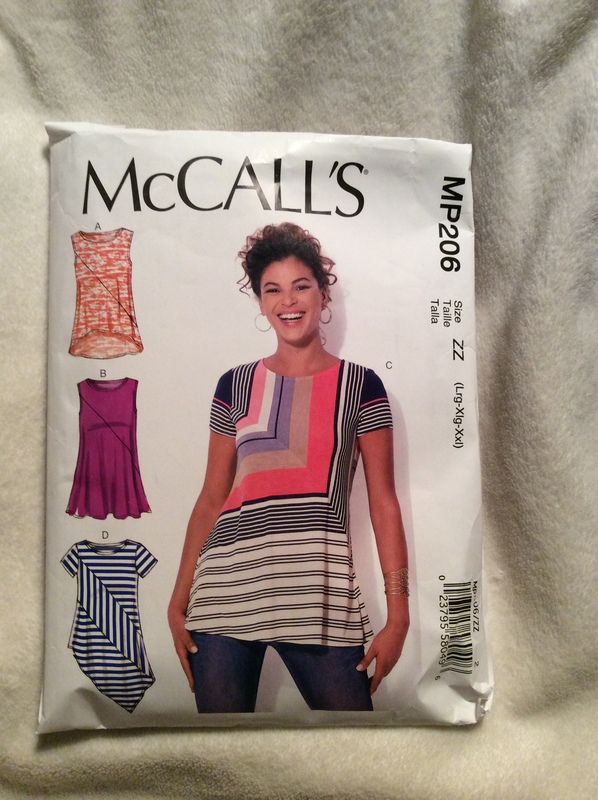 I used the McCalls pattern for this one and played with the placement of the pattern. I wanted a sleeve and also played around with that. 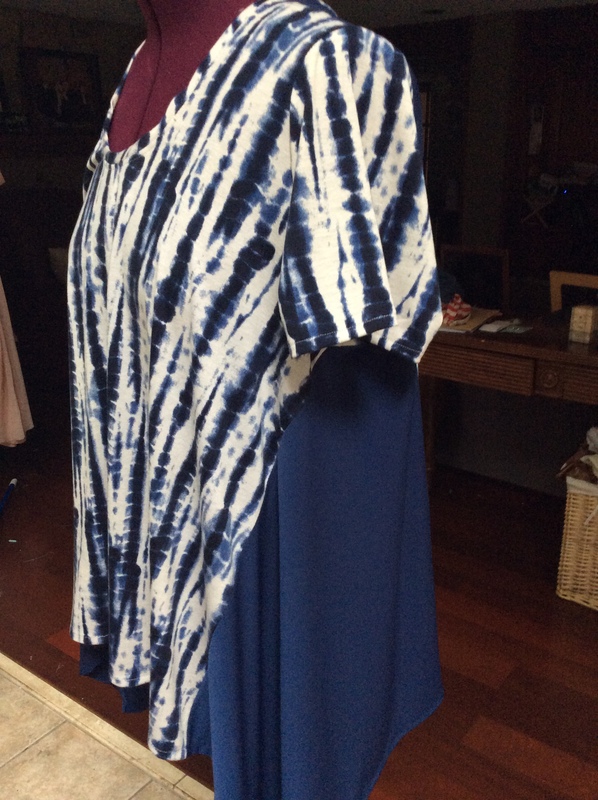 I did not have a lot of fabric so I finished the slit in the center first, and then used what I had to cut out the sleeve. 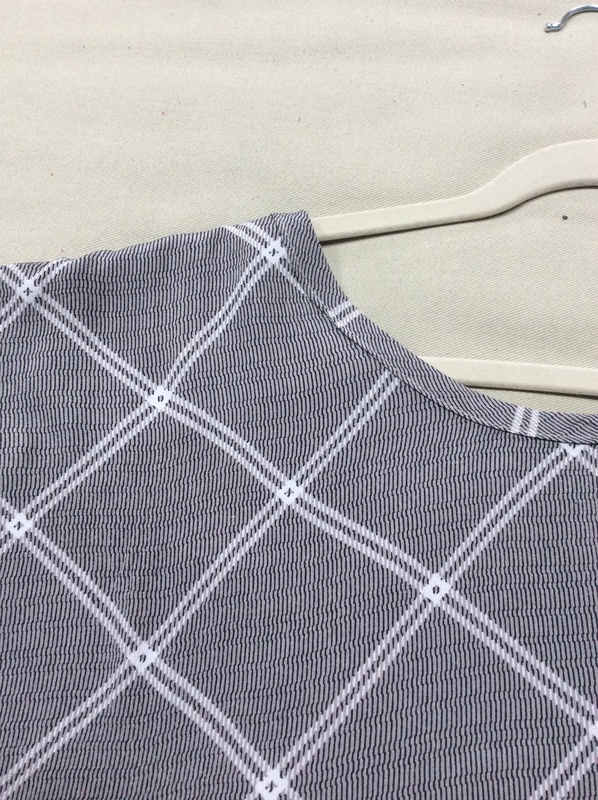 I used a purchased fold over elastic to finish the neckline. I used bias to finish the woven tops that I made. I like this finish as its clean and easy. Vogue 5925 is one of my favorites. 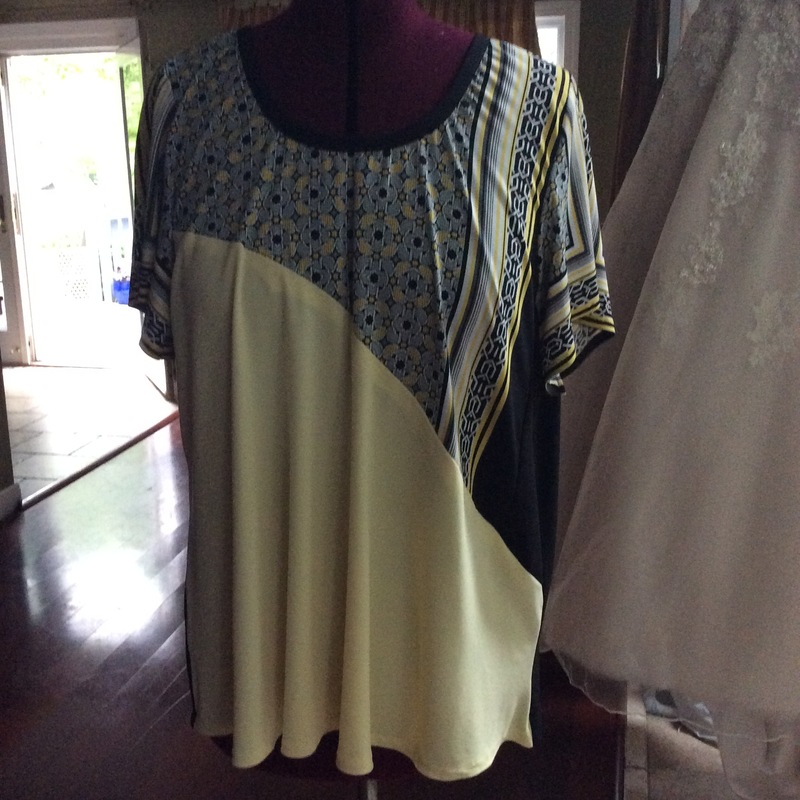 I have made it a few times and I really like the seaming on the back. I only had a small amount of this knit so adding the solid worked great and highlights the detail. 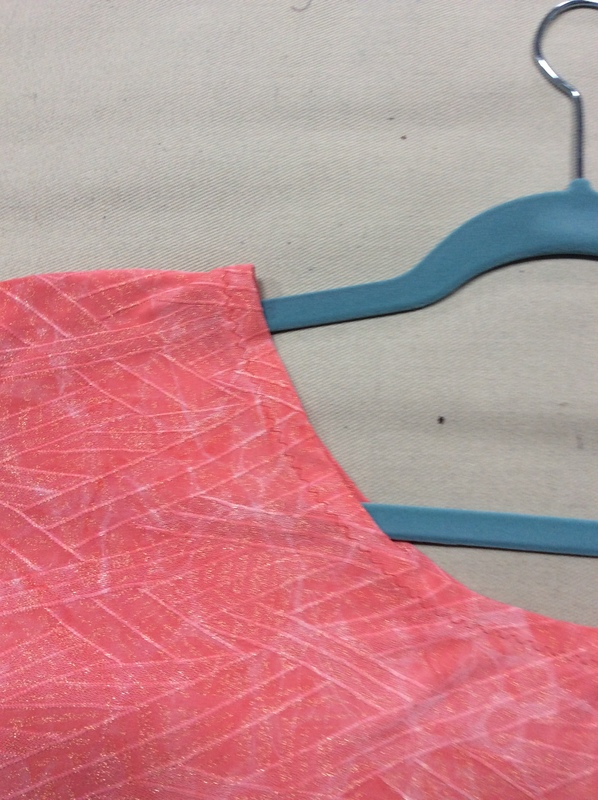 This has a front seam but I made it a fold and changed the neckline from a V to a curve. 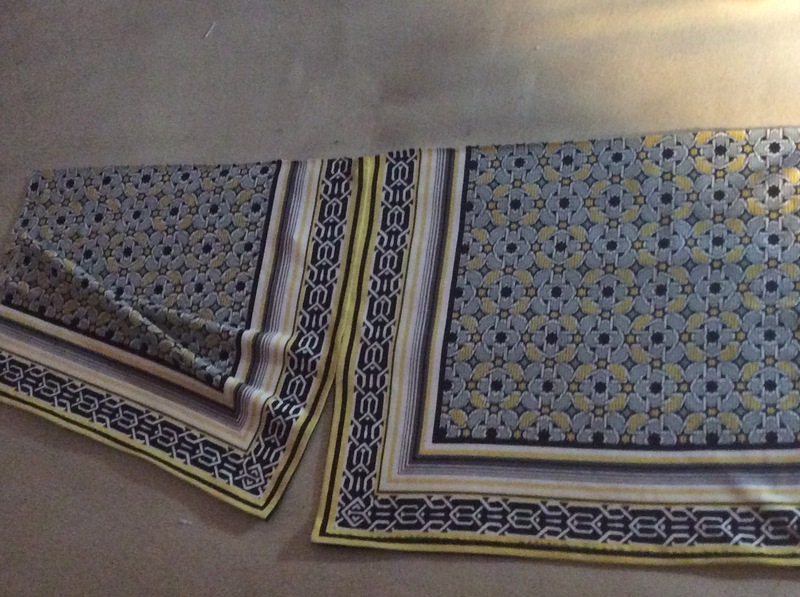 I also added I think 3 ins to this pattern. I used V9057 for the black top. 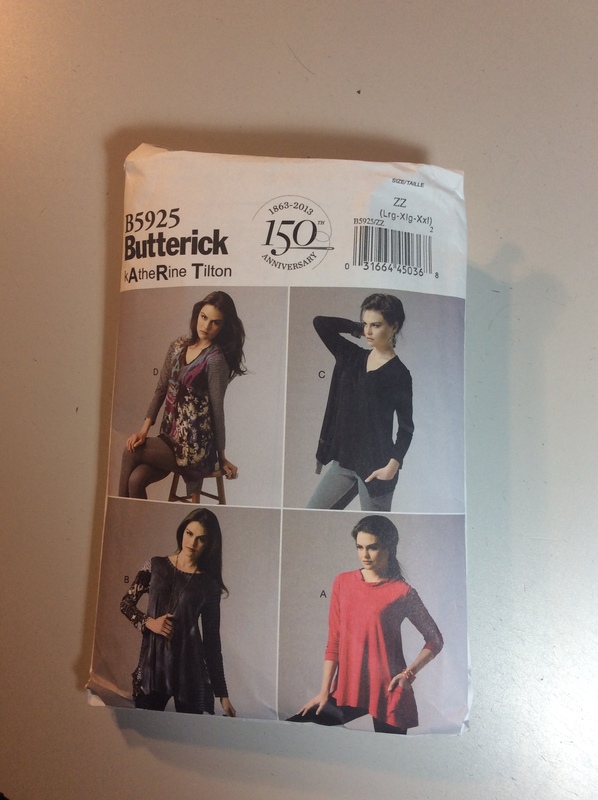 I extended the shoulder to make a dolman sleeve- really easy. 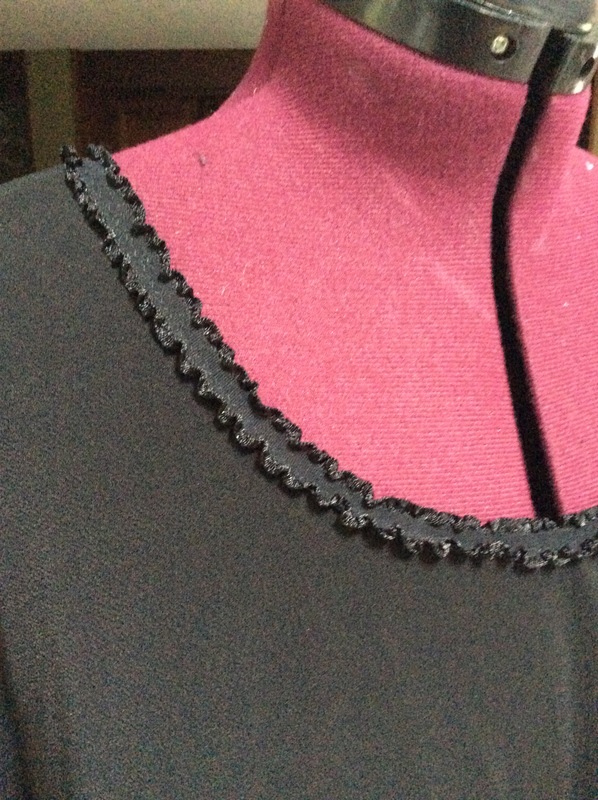 I found some knit bindings at JoAnns and I used them on a few of my tops. 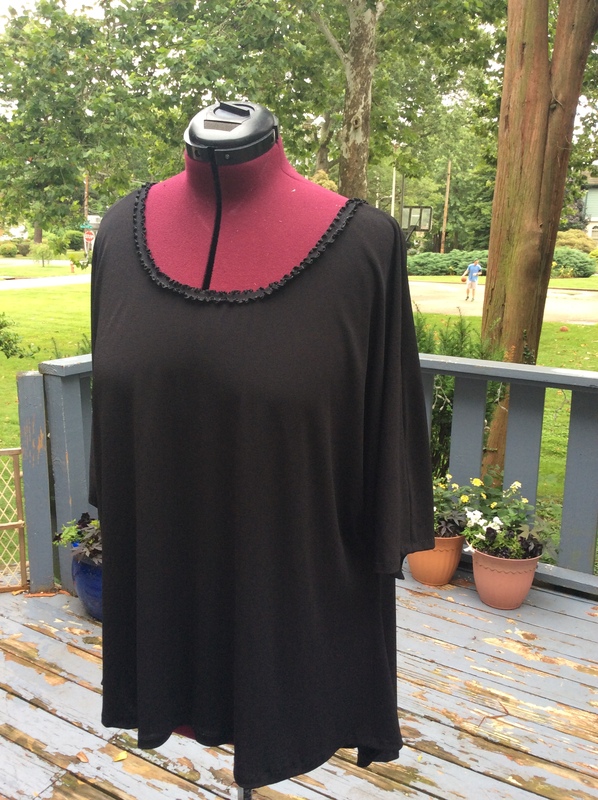 This one is ruffled elastic and I used a zigzag stitch to attach it to the neckline. 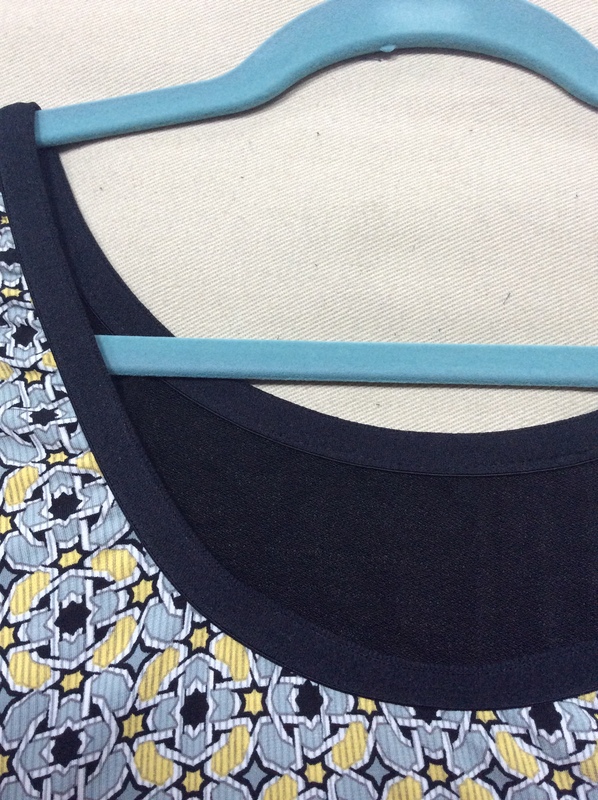 I did not pre stitch the neckline but fused a thin line of interfacing to the neck edge. It comes in a few colors. 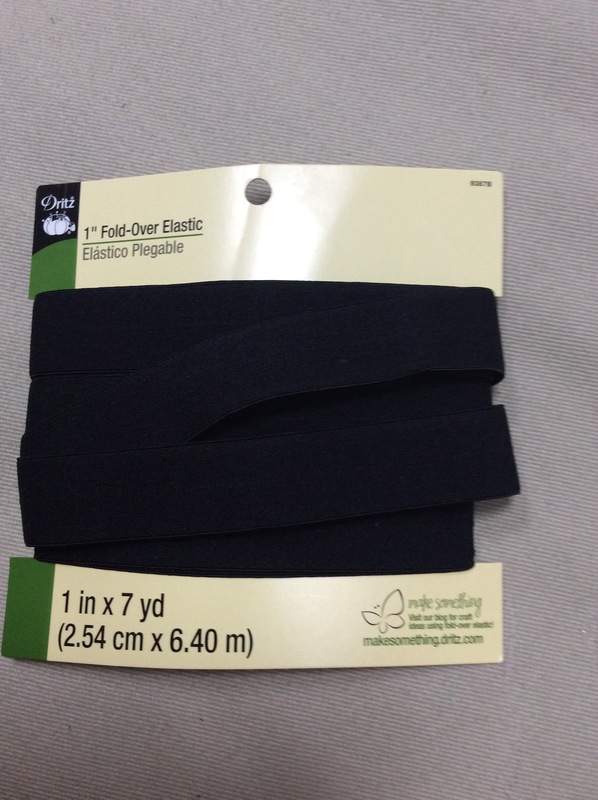 The other binding is fold over elastic and it looks really nice and is easy to use. This coral knit top was a thicker fabric and I will probably only wear it to the Gym or around the house so I just turned under 3/8 in. and zigzagged the edges. 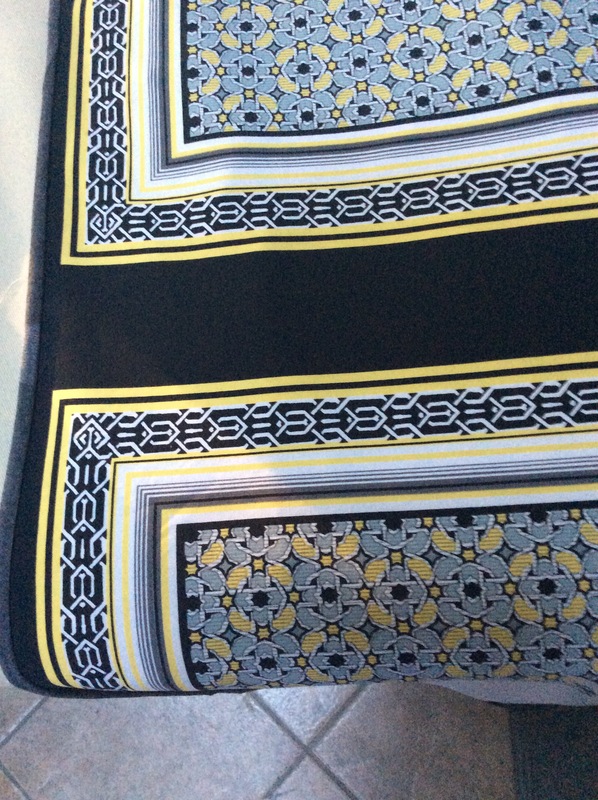 This print is the same as the solid black, I wore it to a party with my sweetie! 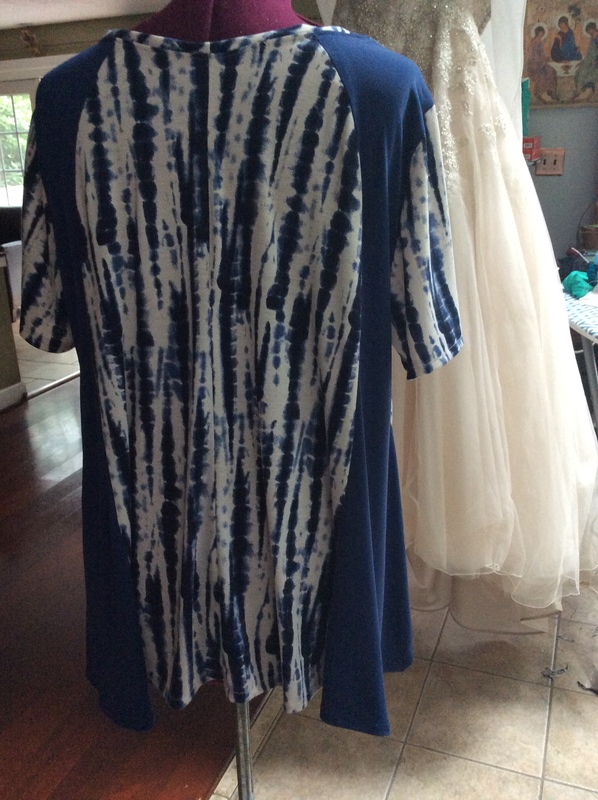 12 Responses to Simple Summer Sewing. Fabulous tops, Mary! You make steamy weather look good. They were all easy Mollie. I feel like I have something to wear! I love all your tops and all your creative finishes. Looks like a million dollar summer wardrobe! Thank you. They were all really easy to make. Thank you. Yes ,Taos is just around the corner. WOW! You have been busy, and each one a winner. Wonderful selection and I love that ruffled elastic trim. I must look for some of that. My tees are so uninteresting – boatneck with 3/4 sleeves from Lands’ End, whenever I find colors I like. My biggest problem is horrendous hot flashes so I am pretty much stuck with looking for cotton, which has the benefit of not pilling. I had one wonderful striped boatneck tee in red, navy and off-white uneven stripes, but someone took it out of the washer I was using here in our apartment bldg. Broke my heart. I will be checking back for more pattern inspiration! 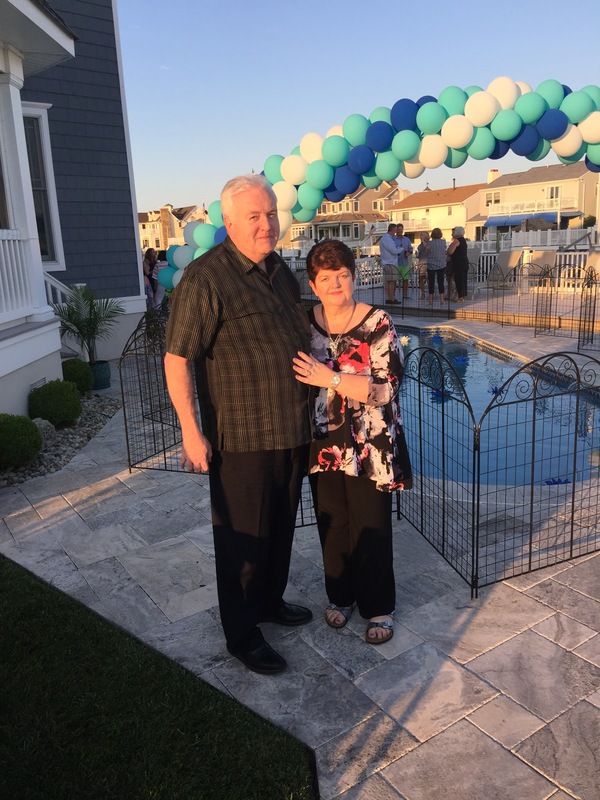 Great job – and you look so cute with your sweetie at the party. Thank you. I have found that some rayon knits are just as cool as cotton. I look for a lightweight knit that feels cool to the touch. Hello! Just found your blog and I live in Philadelphia also. 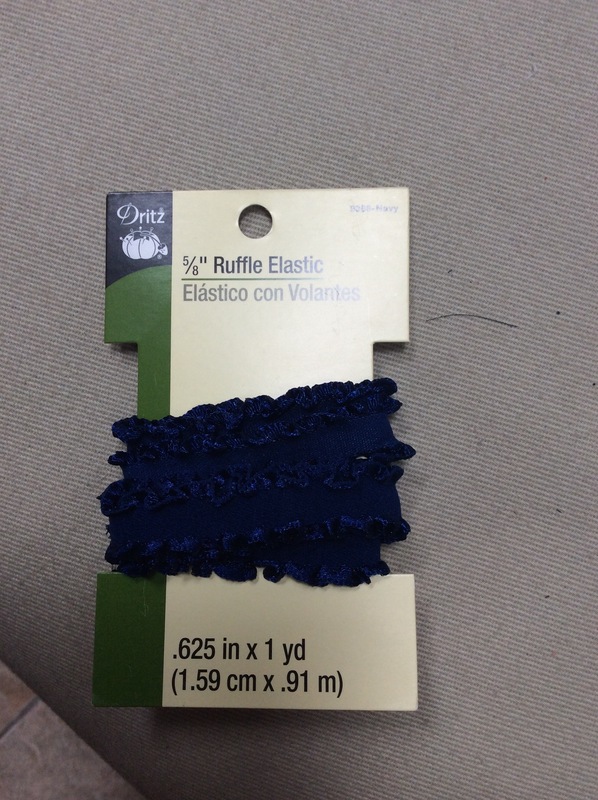 Was wondering if you do any “local” fabric stores? Hoping to hear from you……. Thank you for the comment. I am not sure what the question is about, sewing classes maybe!Keep in touch.